Thank you for visiting my site--and WELCOME! 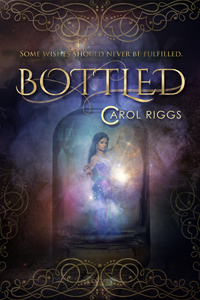 I'm Carol Riggs, author of young adult novels. See the Newsletter tab to keep up to date with my latest news and giveaways. In a world where the government monitors how much you weigh and "junk" foods are highly taxed, 17-year-old Morgan Dey accepts a job as a Reducer to help other people lose weight--while inside their bodies. HUGE NEWS! This book is under consideration for development into a TV series with NBC/Uni, via producer Lane Shefter Bishop and Vast Entertainment! Article HERE (book mention is near the end under current TV series projects). Also in the works: a companion novel to this tale! Deceived into becoming a genie nearly 1000 years ago, Adeelah is forced to grant greedy masters their wishes while keeping the hope alive of somehow fulfilling her own wish to find her one true love. 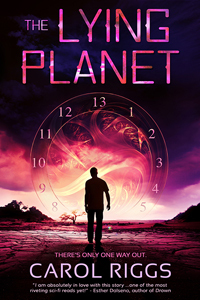 On the planet Liberty, an eerie Machine will test Jay Lawton on his eighteenth birthday. He's worked hard all his life for his rewards...until one sleepless night when he learns a chilling truth. 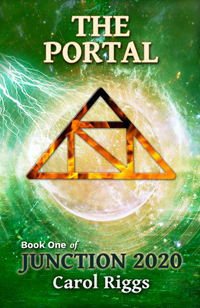 When Mari Stratton attends a New Year's Eve party on the eve of 2019, she and four others are transported by a violent green storm into an alternate world--where her personal dreams come true and her nightmares are all too real. 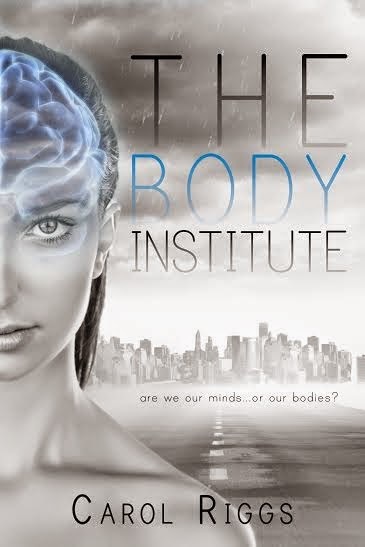 For more info, purchase links, and excerpts from the first chapters, see each book's page.